How is it that cranberries have become the icon of the holidays? Is it their crimson color or their relative scarcity throughout the rest of the year? Whatever it is, they play a special role during this season. 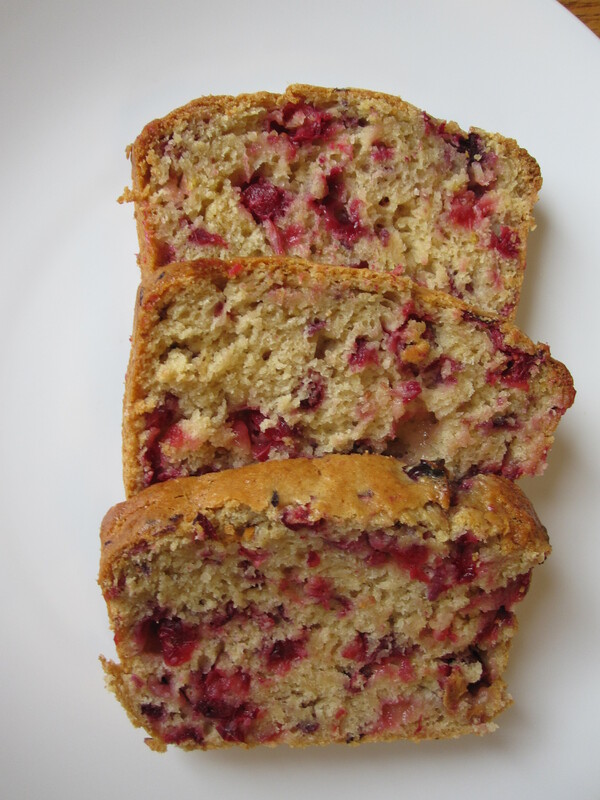 For some reason, I have been craving cranberry bread. When I set out to find a recipe, I was surprised that there are very few out there. The recipe that follows is generously adapted from one posted on Everyday Food (that received mediocre reviews). The bread was a hit. Both kids were drooling over it before I even sliced it up. After my son finished his fourth slice, I practically had to restrain him from eating more. (How does a 40 pound person eat that much?!) I hope you enjoy. Preheat oven to 350 degrees. Butter and flour a 4 x 8 inch bread pan. Chop the cranberries and sprinkle with white sugar. Set aside. Whisk the flour, brown sugar, baking powder, baking soda, and salt in a large bowl. In a separate bowl, whisk the buttermilk, egg, and butter. Mix the milk mixture into the flour mixture until just combined. It will be thick. Fold in the cranberries and zest if you are using it. Press bread dough into the prepared pan. Smooth out the top with a spatula. Bake for 1 hour and 15 minutes, until a toothpick poked in the center comes out clean. Cool on a rack 10 minutes, slice and serve. 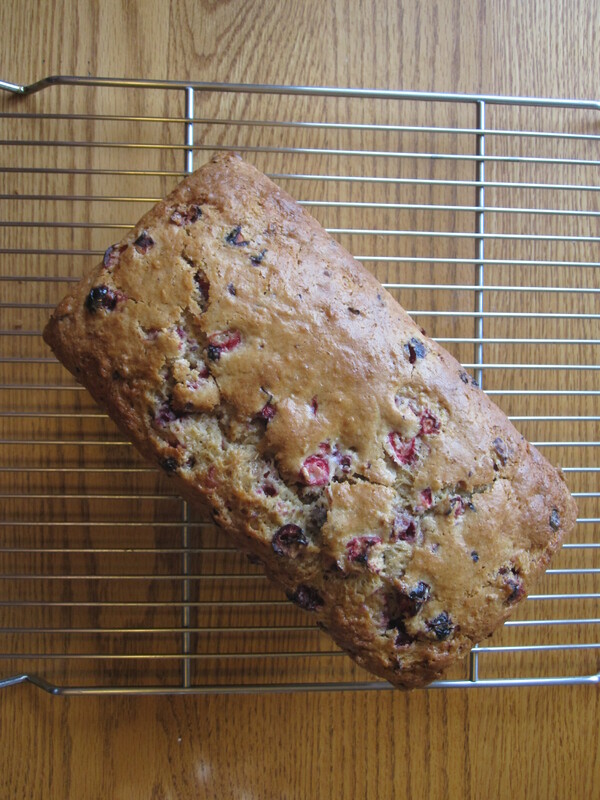 I love your blog, I have a scone recipe that is easy and uses dried cranberries which is easier for me to use. Happy Holidays! Swapping out Buttermilk for milk is a brilliant idea. I love the texture and extra color that comes with using the fresh/frozen berries. It tasted delicious. We really enjoyed it and the company. Delicious. Hubby keeps asking “is there more?”. There will be soon – I found a couple more packages of cranberries to have on hand. Great Gracey! Thanks for letting me know. Happy Birthday to your mom! 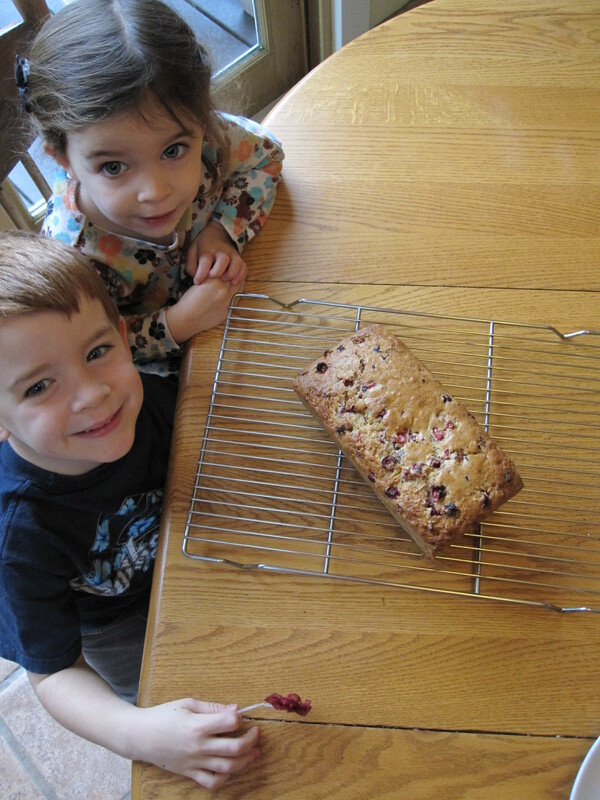 Now that it is cranberry season again, we made this bread and loved it all over again! I edited the recipe a bit to correct a few errors. Hope this helps make it clear. What can i subsitute for the buttermilk. We are lactose intolerant. We usually use lactose free milk but lactose free buttermilk doesnt exist! You can sour the lactose free milk by adding a tablespoon of lemon juice or white vinegar and then letting it sit for 20 minutes on the counter. Use this to substitute for buttermilk.